Ho Quang Khanh – From Corporate to Startup & Loving It! Hồ Quang Khánh started his career at Mekong Capital, steering private equity investments to promising Vietnamese companies. After a few years of working with entrepreneurs he decided to become one. 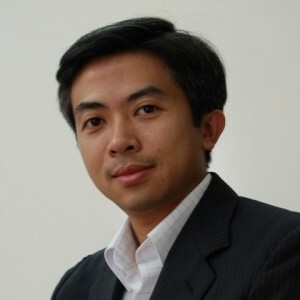 Khánh left Mekong Capital in 2007 to start CyVee.com, Vietnam’s first professional online network. Finding a viable business model for CyVee proved elusive and the site was put on ice a few years later. Khánh spotted a new opportunity and started group-buying site CungMua.com (the name means “buy together”) in 2010. Recently I met Khánh for coffee and visited CungMua’s new office in District 3. He struck me as a man who is doing exactly what he wants and having the time of his life. Chris: What was your first job and the biggest lesson you learned from it? Khánh: My first job was an internship I did while going to college. I worked as a business analyst for a SAP implementation project at a paper mill in British Columbia, Canada. The company held monthly get-togethers at a local pub. Attending these events regularly was fun, and eventually it opened doors to a few very interesting employment opportunities for me after graduation. So my biggest lesson was that networking works very well if done right. Chris: Who gave you the best business advice? Khánh: My father. He always tells me to set expectations high for the troops, prove to them that it can be done and provide them the tools and incentives to achieve those expectations. I didn’t get it right the first few times but I have since managed to apply it successfully. Chris: Your status on CyVee used to read “Left corporate world for startup life and loving it!” What did you mean by that? Khánh: That was when I left Mekong Capital and started vnSpoke.com (later renamed CyVee.com), the first social networking site for professionals in Vietnam. Starting a new company is a roller coaster ride with lots of ups and downs. But I really love building something meaningful and creating value through that process. Chris: What surprised you about starting your own business? Khánh: I had many opportunities to work with many business owners through my job with Mekong Capital. So I was better prepared, I think, than the average first time entrepreneurs. But I didn’t fully expect the need for a true business partner. You always see CEOs and business owners out there having meeting people, entertaining customers, etc… But the reality is that it’s not easy for them to find someone whom they trust to discuss strategies, share the difficulties in running and growing the business. As an employee, it’s not hard to find a coworker to share these things. But as a business owner, it’s not. That’s why I find it very important to have co-founders who share the same values and operate at the same level with you. It’s more fun to have good partners to share both the successes and failures. Chris: What’s the one thing you wish every new hire knew? Khánh: Embrace new responsibilities, do them well, and not worry too much about the rest such as compensation, position, etc… As soon as people take new responsibilities their value to the company will increase and the rest will be adjusted automatically. On more than one occasion we have promoted and increased salaries for people up to 5 times their starting points in less than a year, just because they can get things done well and reliably. Chris: What was the toughest decision you’ve had to make as a manager? Khánh: The toughest is to decide to discontinue a business. It affects the lives of many people. It reflects badly on those who started it and running it. But it has to be done for many other reasons. Chris: What was the most satisfying decision you’ve made as a manager? Khánh: Can’t think of one. Lots of satisfying moments but not tied to a decision. Chris: What are your three most important responsibilities as founder and CEO of CungMua? Khánh: One, keep customers happy. Two, get the right people on the team and make them perform at their best levels. Three, build the infrastructure to keep up with the growth. That means making sure processes, resources, etc. are developing fast enough to support the expanding business. Chris: Why should talented people want to work at CungMua? Khánh: Because CungMua offers incredible opportunities to learn, to excel and to make an impact. 70% of our team joined the company in the last six months. Many of them are responsible for lots of critical operations of the business and involved in shaping the strategy of the company. E-commerce in Vietnam will experience great growth in the next few years and CungMua is right at the forefront of this. Chris: Do you have a favorite business book? Khánh: The Tipping Point. It’s about how change builds slowly until one point is reached and then everything changes at once. It’s an easy read and relates to what I’m doing and trying to do at CungMua. I love the answer about one thing new hire should know. Yes, do your job with excellent performance, salary and benifits will follow. More than that, the first rewarding thing is feeling great since you have done a good job. Yep, absolutely Ngan. It’s important to do a great job before you can expect rewards. However, sometimes I’ve found that you have to ask for those rewards. After all, often if you don’t ask you don’t get! But the first step always is creating value. My pleasure, Viet Thang. It’s no accident that the best leaders are often big readers. You can learn so much from books. I’ve got to know a.Khánh for a few years now since he started Cyvee (we work in the same industry). I always admire him for his entrepreneurial and resourceful spirit. He always come up with new venture ideas and most importantly, make them become reality. Few people know that he and his team started a lot more projects/experiments before hitting the market sweet spot with CungMua: VietLadder, NhinLaThich, TichLuyDiem… to name a few. Thanks for an insightful article about one of my favorite leaders in our internet industry. Btw, somehow the font size in Comment section is very small and hard to read. Please have a look. 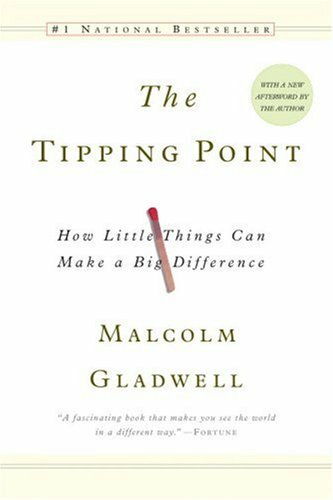 I’ve just read the book “The Tipping Point” mentioned in your article. This book is really great.